Dissolve makeup, sunscreen and bacteria with this nourishing oil cleanser that leaves skin clean and soft without residue. Super hydrating, antioxidant rich plant oils combine with healing and anti-inflammatory Calendula, Turmeric, and Blue Tansy to calm and detoxify skin. Luxuriate in the scent of a blend of all natural neroli and geranium essential oils. This unique Oil Cleanser is water soluble and can be removed with just water. No washcloth required. Ideal for dry, sensitive, and acne prone skin. This Oil Cleanser sounds so perfect for my skin! The Oil Cleanser is super gentle, non-drying, and not at all greasy. As an added plus, it has loads of sensitive skin friendly and calming ingredients. Makeup removal is super easy, and it rinses away without leaving a residue. The cleansing oil has a very, very mild, natural scent of neroli and geranium. Do you like cleansing oils? Disclosure: This came in my Petit Vour subscription box that I pay for! The packaging would probably be better with a pump, as the shower gel is a little on the runny side, but despite this, it lathers really well. I found it to be hydrating and makes my skin feel clean with no soapy residue left behind. I love bath and shower products, especially if they have a nice scent, and this one is really bright and awakening, perfect for a sluggish morning! Citrus based scents are always so refreshing! All in all, yet another bath and body product from Andalou Naturals that I really liked! This oil sounds so amazing, and perfect for my sensitive skin! So how did it measure up? This is the first time that I’ve ever tried a plum oil. I really like the Plum Beauty Oil, it is light and sinks into the skin quickly. I’ve been adding a few drops into my moisturizer in the mornings for an added hydration boost. Very calming on the skin, and not at all greasy. Have you tried this facial oil? Night after night, this concentration of technology with a pleasant fragrance acts deep inside the skin to help it erase the visible signs of daytime damage caused by the environment. Benefits: The skin is smoother as you sleep, and in the morning, appears uncreased and luminous. Wrinkles are smoothed, signs of fatigue seem to be reduce. Youthful radiance appears revived. After doing my usual skin patch tests on my wrist, and then on my neck or chest, I began using the nOctuelle Detox Cream at night. I feel that Sothys really shines in their anti-ageing formulations. Your skin will look and feel different when you wake up after using this overnight detox cream. It hydrates and brightens while you sleep. The packaging is heavy plastic, and comes with a little spatula for application. As with all Sothys skincare that I’ve tried thus far, I find that it is a little more scented than I prefer, but it doesn’t trigger a reaction, and then scent fades quickly as the cream sinks into my skin. Disclosure: In case you missed it at the beginning, this is a PR sample. However my love of skincare and my opinions are entirely my own. Safe for us = safe for you: We ensure that our ingredients are thoroughly evaluated for safety, effectiveness, environmental impact, and animal welfare by the Environmental Working Group (EWG). Keeping it simple: What this means is that any single ingredient can provide multiple benefits within a particular product. This keeps our ingredients list to a minimum number of “simple” components. Do no harm: We do not test our products on animals nor do we purchase ingredients that have been tested on animals. So yeah, knowing how I feel about skincare and cosmetics, you can see why I was so excited about testing things out! Because there were so many things in the box, I’ve decided to break it up into several parts – today I’m reviewing the You Sure Clean Up Nice (Face & Body Cleanser) and the Get Toned Vegan Facial Toner). Starting with You Sure Clean Up Nice (Face & Body Cleanser) – to be honest I cringed a little at the thought of using the same cleanser for both face and body. But after doing my usual patch test for sensitivity, I tested it out on both my face and body but I’m going to talk more about using it as a facial cleanser. You Sure Clean up Nice! Facial Cleanser is simply luxurious and like no other cleanser you’ve tried. We have formulated You Sure Clean up Nice! for all skin types but extra care was taken to ensure that it will be gentle on the most sensitive of skin types. (like all of our products). 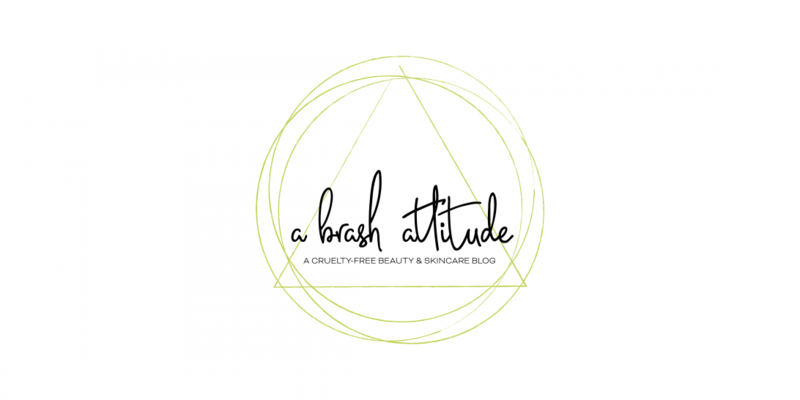 This cleanser is a sensitive skin dream! It is super gentle, but cleans really well – removes makeup without leaving my skin feeling tight or dry and doesn’t leave a residue. Because it is formulated for sensitive skin, it has no added fragrance, so it smells like its ingredients (basically, it barely smells like anything)! This would be great to take for travelling since it can be used on face and body. Get Toned! is a very clean, safe and simple facial toner. Having only 8 ingredients, they have been carefully selected to get the job done! Formulated with the refreshing and calming effects of lavender floral water, combined with the moisturizing and conditioning powers of glycerin and Hydresia®. Get Toned follows our mission perfectly as it is truly safe, effective…better! I love facial toner / facial mists. This one has minimal ingredients and it is so refreshing to use after I wash my face. It smells beautiful due to the lavender. Very gentle, and hydrating. So there you have it, part one of my Lowen’s Natural Skincare reviews. More to follow this week! Have you tried anything from Lowen’s? Disclosure: In case you missed it at the beginning, these products were part of a PR package from Lowen’s Natural Skincare, but my love of natural skincare and opinions are entirely my own! Fortified with quinoa, sunflower seed oil and calendula, this foaming wash helps you get rid of the junk that blocks your beauty from radiating. Perfect foaming action helps gently lift dirt and debris to the surface so you can cleanse, remove dirt, makeup and even pollutants while helping balance. Calendula and aloe are great for even the most sensitive skin types. This cleanser is so gentle, and you only need the smallest amount – it foams up amazingly well! This is perfect for the most sensitive skins (unless you have an allergy or intolerance to one of the ingredients). It works really well to remove makeup (except for waterproof mascara), and rinses clean without leaving my skin feeling dry or irritated. It works really well to calm the skin. Ingredients: aqua, glycerin, sodium cocoyl glutamate, aloe barbadensis leaf juice, helianthus annuus (sunflower) seed oil, gluconolactone (corn), cetearyl glucoside, capric/caprylic/triglycerides, water, glycerine, caprylyl glycol, propanediol, glyceryl undecylenate, sucrose stearate, decyl glucoside, oryza sativa (rice) extract, glyceryl caprylate, bioflavanoids, potassium sorbate, parfum (natural), chenopodium quinoa seed extract, calendula officinalis flower extract. This product is cruelty free and vegan (yay!). Thanks for reading and have a beautiful day! Detoxify and soften naturally with this gentle pink clay facial mask. This blend will draw out toxins without over drying the skin. Suitable for all skin types. This facial mask has minimal ingredients, making it a good option for sensitive and other skin types – unless you have an allergy or sensitivity to one of the ingredients. I am a huge fan of facial masks, I love that this one is in powder form as it means less packaging. Another benefit to a powder formulation is that it gives you the choice of what type of liquid to add to the powder to mix with your mask. This mask performs similarly to most clay based masks, it feels tight as it dries – but my skin felt so clean, and not at all irritated or dried out after removing. All in all, I think that this is a great facial mask. Do you like clay based facial masks? Today I’m reviewing The Warrior Serum and The Cosmic Serum – they were bonus surprises in my recent Poetic Blend giveaway winnings! I’ve already reviewed The Hero Oil and The Timeless Oil earlier this week. This incredibly powerful yet gentle serum is formulated with advanced ceramide technology. Plant derived ceramides boost moisture retention in the skin and combine with AHA’s and Glycolic Acid to fight free radical damage. Pore cleansing, plant-based Salicylic Acid helps shed dead skin cells and clear pores while stimulating cellular regeneration. The end result is a plumper, smoother, and even complexion, made for the warrior in all of us. Suitable for all skin types including mature & blemish-prone skin. This is a powerhouse serum, but at the same time is super gentle on my sensitive skin. I’ve been using this serum nightly after cleansing, and wake up with fresh and smooth skin. I love this one! Meet your skin’s kismet – this powerful force of a serum is loaded with Hyaluronic acid, a bevy of peptide complex blends and plant stem cells boost collagen and restore elasticity. Suitable for all skin types, especially those looking for superior hydration + anti-aging properties. I’ve been using my sample of The Cosmic Serum in the mornings after cleansing, and before applying facial oil for an added hydration boost. It absorbs quickly and plays nicely with all of the facial oils, moisturizers and makeup that I’ve used with it. Disclosure: I won these in a giveaway, but because I love skincare, you know I’m going to share my experience!